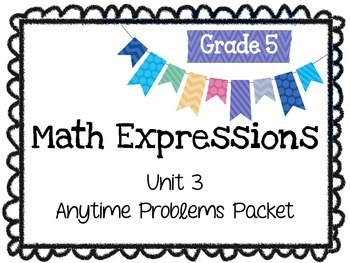 Math Expressions Anytime Problems for Grade 5 Unit 3. 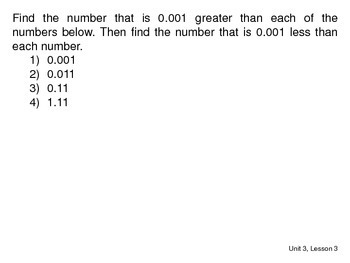 Each problem is on a page by itself with the lesson number listed at the bottom of each page. You can use this product to print as a packet for your students, display on your interactive whiteboard, or under your Elmo. 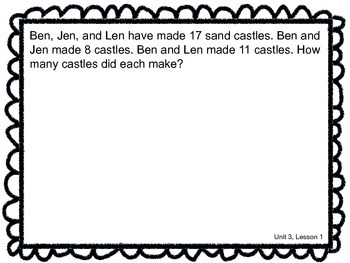 This could even be used in a station for students to complete. I have added pages that are printer-friendly to the end of the document. When printing for a packet, you can also print 2 sheets to a page and the students could glue them in their journals. Please let me know if you have any questions or suggestions. 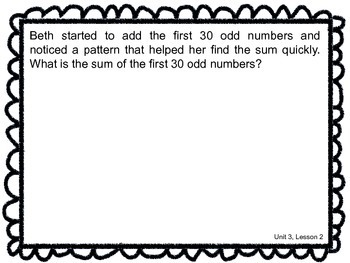 I would love to get your feedback and hear other ways to use these problems in the classroom. If I can adjust this product to help you out, please let me know.